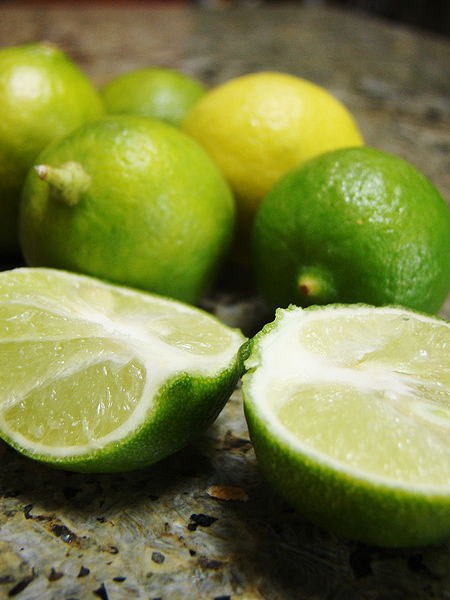 Lime is indispensable to Thai cuisine. It serves as the main ingredient for adding acidity to Thai dishes such as with Tom yum and Larb. It can also be eaten chopped together with the peel in dishes such as Miang kham. This is ordinary lime, not to be confused with Kafir lime.